The MLS Reserves: Pre-Season Underway, How does the Western Conference weigh in? Pre-Season Underway, How does the Western Conference weigh in? As we approached the start of the new season last year, the general consensus was that the Western Conference was, on the whole, stronger than its Eastern counterpart. Of course, this being MLS, our expectations turned out not entirely correct, although the LA Galaxy did repeat as MLS Cup Champions by beating the Houston Dynamo for the second time in two years. Going into the 2013 season, half of the West is shuffling their pieces around while the other half is largely content with what they’ve got. Let’s see what everyone’s been up to on their break. Oh, Chivas. They finished bottom of their conference last year and ended the season having scored only 24 goals while conceding 58. Clearly, changes had to be made, and Chivas have done nothing in the offseason if not try to change. The first order of business was a new coach, so it was out with Robin Fraser and in with José Luis Sánchez Solá (whom you can just call Chelís). The new plan for Chivas, as outlined by owner Jorge Vergara, is to realign the club with its Mexican roots and pursue players with Mexican backgrounds. In line with this strategy, Chivas picked up Mexican-American Carlos Alvarez at the SuperDraft this year, traded away Nick LaBrocca to Colorado for Eric Avila, and seem to be in the process of offloading players who don’t fit the new philosophy. Fortunately, though, Dan Kennedy will be sticking around as captain; his future with the club was previously in question, but his presence undoubtedly adds strength to this squad. Whether the Goats’ changes will lead to improvement on the pitch obviously remains to be seen. Personally, I still can’t see them ending 2013 anywhere except in the bottom half of the table, and I think limiting your potential player pool is a step in the wrong direction. This season will be too soon for this team to really come together; Chelís is working on the big picture, and he’s not going to be done by the time March rolls around. The Rapids too experienced a disappointing 2012 season, and like Chivas, they’ve been busy making changes. They’ve traded Eric Avila to Chivas for Nick LaBrocca, nabbed Edson Buddle from the LA Galaxy, gotten Nathan Sturgis from the Houston Dynamo, and acquired forward Charles Eloundou, an 18-year-old Cameroonian international. They’ve also sent Jeff Larentowicz to Chicago and parted with Conor Casey, Omar Cummings, and Hunter Freeman, but they’ve signed center back Diego Calderón from Ecuador and winger Kevin Harbottle from Chile. They came home from the SuperDraft with forward Deshorn Brown, midfielder Dillon Powers, and defender Kory Kindle, and they grabbed four other picks from the Supplemental Draft. Clearly, the Rapids intend to do better this season. Head coach Oscar Pareja has said that he hopes to use a 4-3-3 formation in the coming season, and he’s looking to bring in the right guys to make that happen. Depth in the midfield is the story here; if you haven’t been paying attention, these moves might have slipped right by you, but Pareja is bolstering attacking power. I’m only going in alphabetical order here, but Dallas is another team that largely failed to succeed in 2012 and are seeking improvement for the new season. The big news for Dallas in the offseason seemed to be that Brek Shea was headed to Stoke City in England -- except, just kidding, because Brek Shea is staying in Dallas. Like Chivas and Colorado, Dallas have gotten to work changing the roster, starting with veteran goalkeeper Kevin Hartman, whose contract was not renewed after last season. Schellas Hyndman has said that new signing Raúl Fernández, keeper for the Peruvian national team, will compete for the number one spot. In addition to Fernández, Dallas have signed midfielder Peter Luccin (from Atlético Madrid), defender Stephen Keel (from the New York Red Bulls in the Re-Entry Draft), and forward Wesley “Pipico” Silva (from Vasco da Gama in Brazil). At the SuperDraft, Dallas chose defender Walker Zimmerman and midfielder Ryan Hollingshead. Depth was Hyndman’s goal for the offseason, and depth he has attained. If Brek Shea can regain form and move on from the failed deal with Stoke, and if the rest of the team can step up, Dallas could compete for a playoff spot this season. After a rather abysmal start to the season last year, the Galaxy then went on to peak at just the right time -- and their reward was the MLS Cup (again). Of course, David Beckham ended his MLS career in LA at the end of last season, but that doesn’t mean the team will fall apart without him. With a contract extension for Robbie Keane and the completed full transfer of Juninho, the Galaxy have helped ensure that vital pieces to their puzzle stay put. The roster has undergone changes as well, though; Colin Clark is in from Houston, goalkeeper Carlo Cudicini is in from Tottenham, and forward Gyasi Zardes has been signed to a Homegrown contract (and his skill is going to “blow your mind”). LA left the SuperDraft with three new players to add to the depth charts, too. The Galaxy, as ever, have been linked to another big name signing -- Frank Lampard, could it be? -- but one of their current big names, Landon Donovan, is a bit MIA lately. Donovan and soccer are on a break right now, but Bruce Arena has said that the guy left out of Klinsmann’s current USMNT plans will be on the pitch for LA this season. 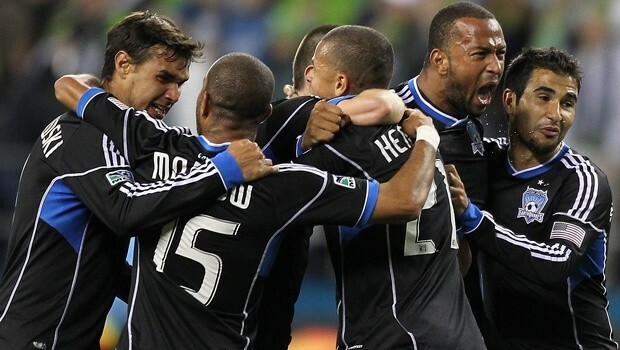 It seems easy to predict that the Galaxy will keep on with their winning ways in 2013. Aside from Beckham, they’ve held onto their players; Arena is adding, not subtracting. An unexpected slump is possible -- just look at the beginning of 2012 -- but the probability is that we’ll be seeing LA at the top again this year. 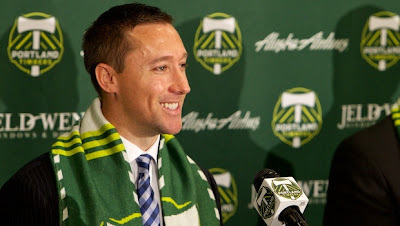 Back to the bottom again here, but the Timbers too have been plenty busy trying to rebuild for 2013, starting with new head coach Caleb Porter. Eight players have been added to the Portland roster and five dealt away during the transition. Among those coming into the fold are Michael Harrington (from Sporting Kansas City), Will Johnson (from RSL), Ryan Johnson and Milos Kocic (both from Toronto), and Argentine Diego Valeri (on loan from Lanús in Argentina), the last of whom Porter has big plans for. Portland have also acquired defenders Ryan Miller (from Halmstads in Sweden) and Mobi Fehr (in the Lottery), and they’ve completed the full transfer of forward José Adolfo Valencia from Santa Fe in Colombia. Porter is looking to gear the Timbers towards possession-oriented soccer, and he’s hoping Valeri, for one, will help with that strategy. The supporters in Portland demand that their team find success on the field, and it could be that Porter is the right man to achieve that. I want to expect good things out of Portland this season; I wouldn’t be totally surprised if they ended up sneaking into playoff territory. RSL have continued to come up short in recent years where they feel they should have done better, but Jason Kreis continues to work towards creating the team that will earn on-field success. In the offseason, he’s traded away Fabián Espíndola and Jámison Olave to New York, and he’s gotten Aaron Maund from Toronto in exchange for Justin Braun. Robbie Findley returns to RSL after a couple years in England, and Javier Morales, Chris Wingert, and Tony Beltran have all extended their contracts with the club. From the SuperDraft, midfielder John Stertzer and forward Devon Sandoval join the ranks. Kreis’ team still comprises many of the core players who make the team tick, but the loss of Espíndola and Olave, plus Will Johnson to Portland, is a blow. As with the Galaxy, though, it’s tough to think that RSL won’t keep on in the vein of success this season. If Kreis feels that letting major players go is worth it (literally worth it, since he had to do it to make room under the salary cap), then who’s going to argue? With players like Nick Rimando, Kyle Beckerman, and Álvaro Saborío, among a host of others, RSL will still be dangerous. Look for them to finish near the top yet again. A lot of us had some spoiled playoff brackets last season when the Quakes ended up losing to LA, because it just seemed so certain that they would win it all, didn’t it? I guess not, if you predicted LA to repeat. But, Goonies! In many ways they were the darlings (well, maybe not Lenhart) of MLS last year, scoring goal after goal (that Wondo guy, am I right?) and making a whole lot of what on paper was not quite that much. In the months since we last saw them, all they’ve really lost is Ike Opara to Sporting Kansas City. They’ve added enough to make up for that, though, with defenders Dan Gargan and Ty Harden coming in from Chicago and Toronto respectively (plus Tommy Muller in the SuperDraft). San Jose have also acquired Mike Fucito from Portland, but otherwise the team you’ll see this season is much the same as the one you saw in 2012. And why try to fix what isn’t broken? Frank Yallop has a team that works -- and works better than all the other teams in MLS, if we only look at points (or goals for, or goal difference, or just about any stat you want). Expect more big things from them this time out, and feel free to point out that I said that if they end up failing spectacularly. 2012 was another “close, but not quite” season for the Sounders. They want to win the MLS Cup -- anything else is a side gig. The biggest story for Seattle recently is the loaning of Fredy Montero to Millonarios in Colombia, but even without him, the team should be strong enough to find some measure of success. Jeff Parke is off to the Philadelphia Union, while Lamar Neagle comes home from Montreal and brings with him important depth at midfield. In the SuperDraft, the Sounders picked up forward Eriq Zavaleta and defender Dylan Remick, and they rounded up five others from the Supplemental Draft. But overall, change isn’t the name of the game in Seattle right now. That the Sounders will finish near the top this season seems inevitable, but it’s hardware they want. Is this the year? I hesitate to give a definitive answer (I thought the Quakes would win last year! ), but I’m pretty sure we can expect them to make a decent run for the title. Although 2012 was certainly an improvement on 2011, the ‘Caps still have plenty of room to grow in 2013, and Martin Rennie is making changes. The club has parted ways with Martín Bonjour and Barry Robson. Meanwhile, Dane Richards is off to Burnley in England, Atiba Harris is off to Colorado, and John Thorrington is off to DC United. Additions to the squad include midfielder/striker Paulo Jr. and strikers Tom Heinemann and Corey Hertzog; from the SuperDraft Vancouver selected two attacking players in Kekuta Manneh and Erik Hurtado, and the Supplemental Draft saw them add six more to the roster. Finally, defender Brad Rusin joins the team from Danish side HB Køge; the American has played before under Rennie with the Carolina RailHawks in the NASL. It’s probably not time for the Whitecaps to contend for a trophy, but a middle of the table finish seems likely again. Rennie has plans for Vancouver, to be sure, and he’s building a team for the future; the future isn’t quite here yet, though. Way to include a token picture of Brek Shea. Ahem. We must try to get use to the few habits like taking our health issues serious and for that we must eat well on time and we should take care of of our weight too.